Indie Volt TV launches! – INDIE VOLT! 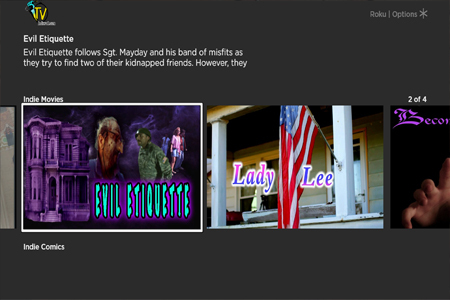 Get it free on the Roku Platform. Varian Grant, owner of Indie Volt media LLC (Indievolt.com) announced today the launch of Indie Volt TV on the Roku platform. 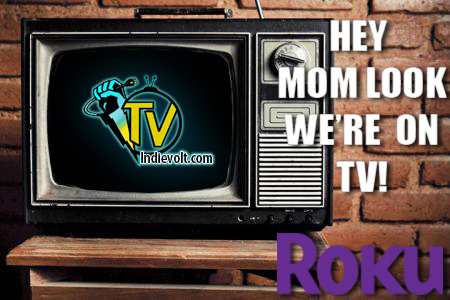 Indie Volt TV is a FREE on-demand streaming channel that you can get now with a Roku device, “To add the channel to your device go to the channel search area and type in IndieVolt”. No Roku device? No worries, Varian Grant goes on to say that IndieVolt TV should make it’s way onto the Amazon FIrestick sometime in the 2nd quarter of 2018 if not sooner.